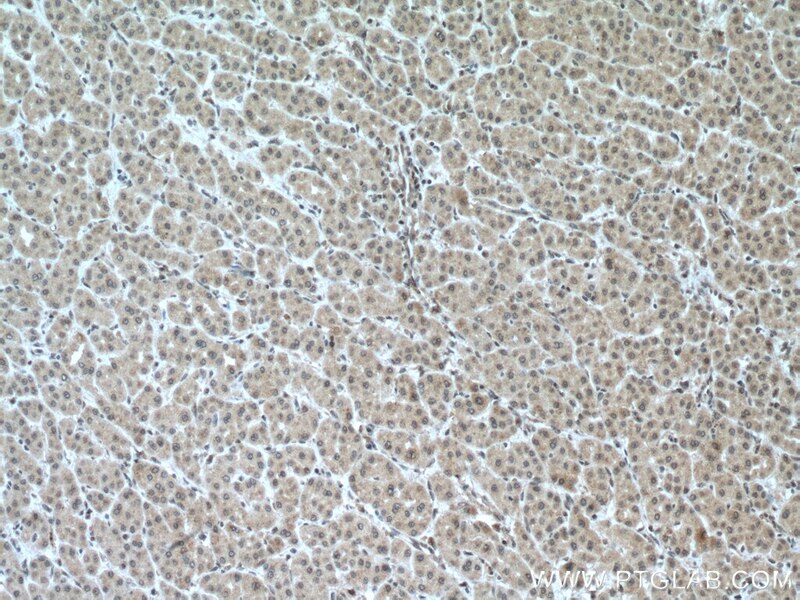 IP Result of anti-PFKFB3-Specific (IP:13763-1-AP, 3ug; Detection:13763-1-AP 1:1000) with HEK-293 cells lysate 4000ug. 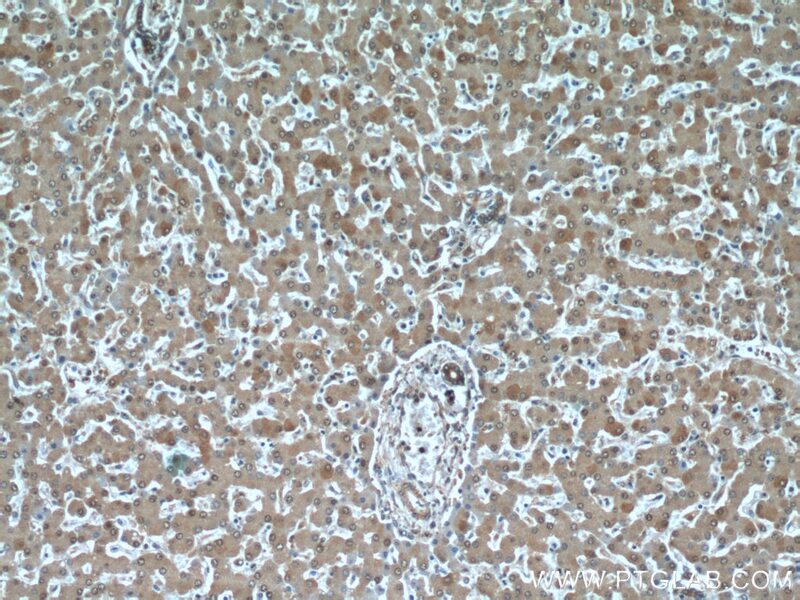 Immunohistochemical analysis of paraffin-embedded human liver cancer tissue slide using 13763-1-AP (PFKFB3-Specific antibody) at dilution of 1:200 (under 10x lens) heat mediated antigen retrieved with Tris-EDTA buffer(pH9). 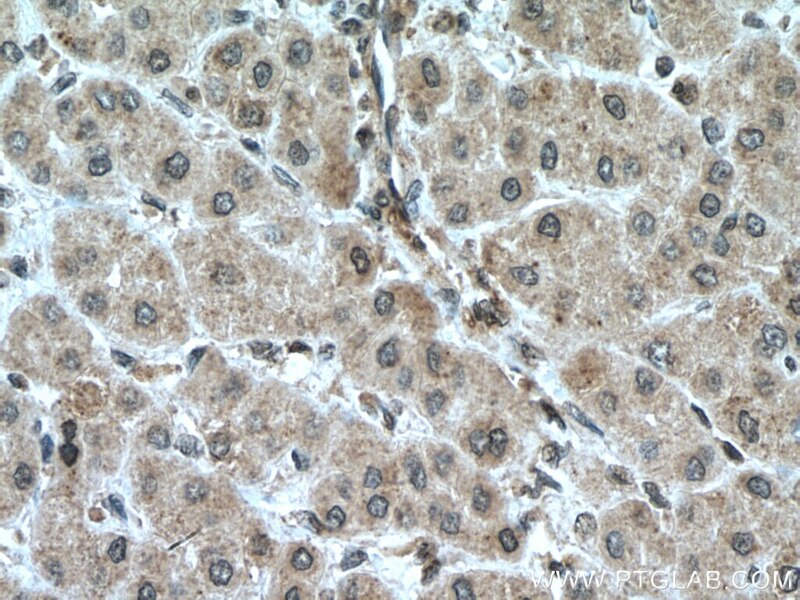 Immunohistochemical analysis of paraffin-embedded human liver cancer tissue slide using 13763-1-AP (PFKFB3-Specific antibody) at dilution of 1:200 (under 40x lens) heat mediated antigen retrieved with Tris-EDTA buffer(pH9). 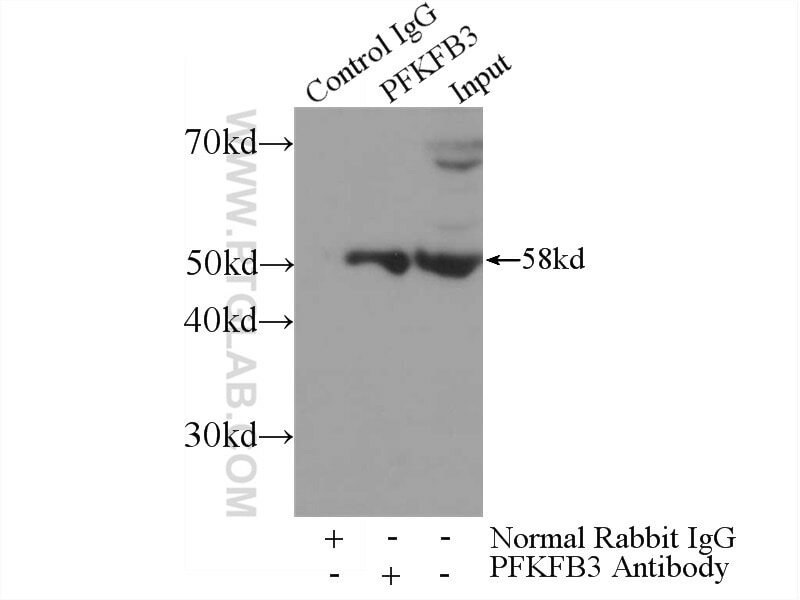 PFKFB3, also named as NY-REN-56 and iPFK-2, plays a role in glucose metabolism. It synthesis and degradation of fructose 2,6-bisphosphate. 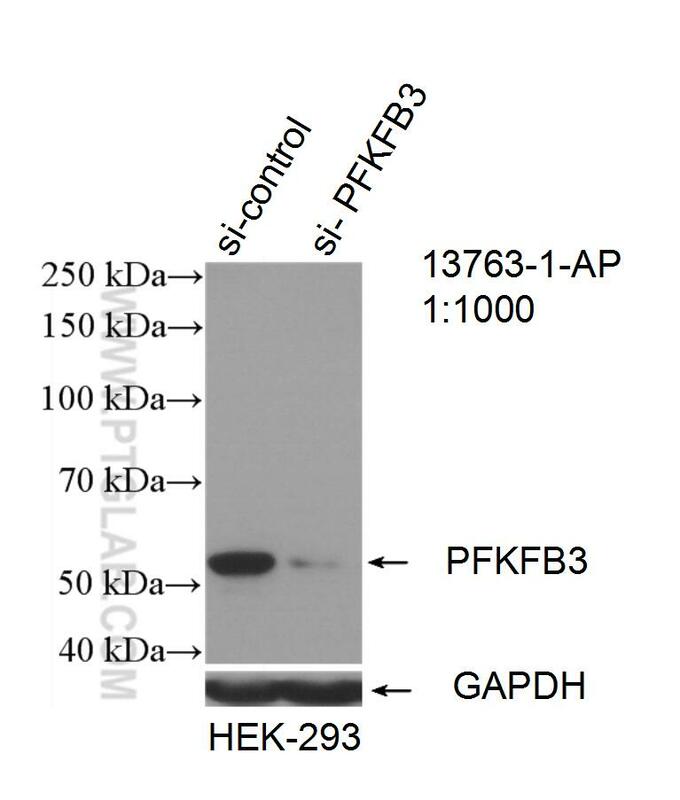 Endogenously generated adenosine cooperates with bacterial components to increase PFKFB3 isozyme activity, resulting in greater fructose 2,6-bisphosphate accumulation. 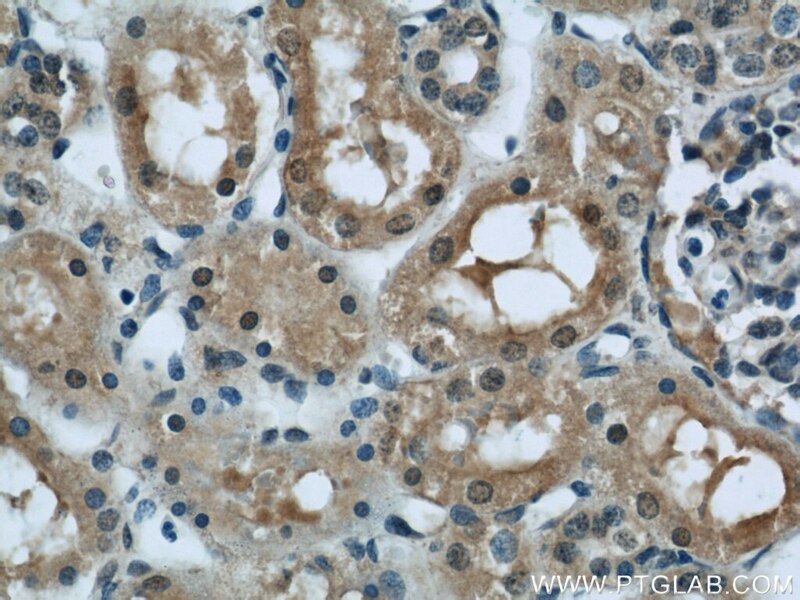 PFKFB3 is required for increased growth, metabolic activity and is regulated through active JAK2 and STAT5. 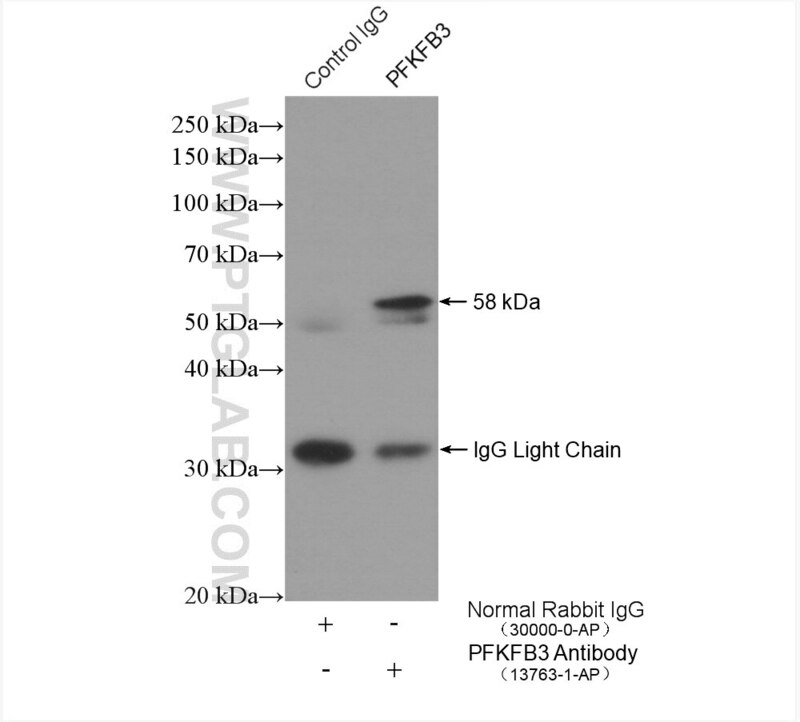 This antibody is specific to PFKFB3. 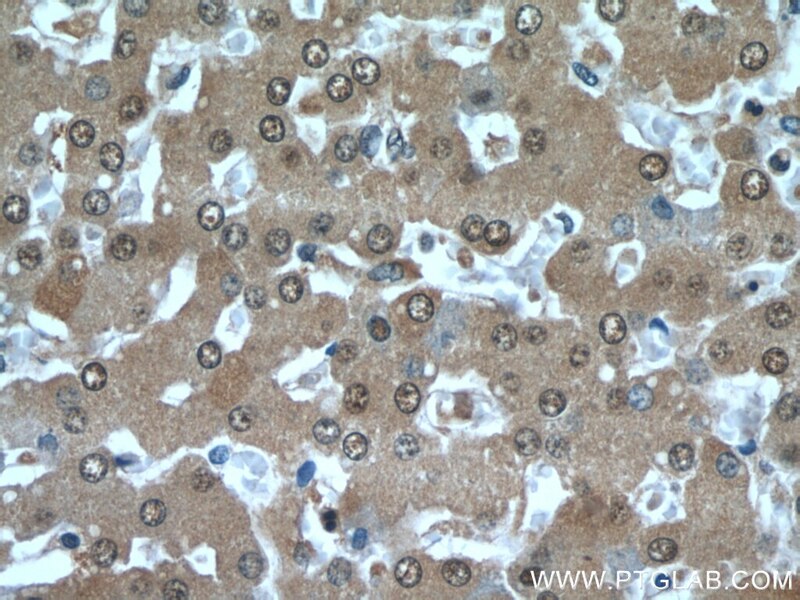 6-Phosphofructo-2-kinase (PFKFB3) promotes cell cycle progression and suppresses apoptosis via Cdk1-mediated phosphorylation of p27. 6-phosphofructo-2-kinase/fructose 2,6-bisphosphatase-3 is required for transforming growth factor β1-enhanced invasion of Panc1 cells in vitro. 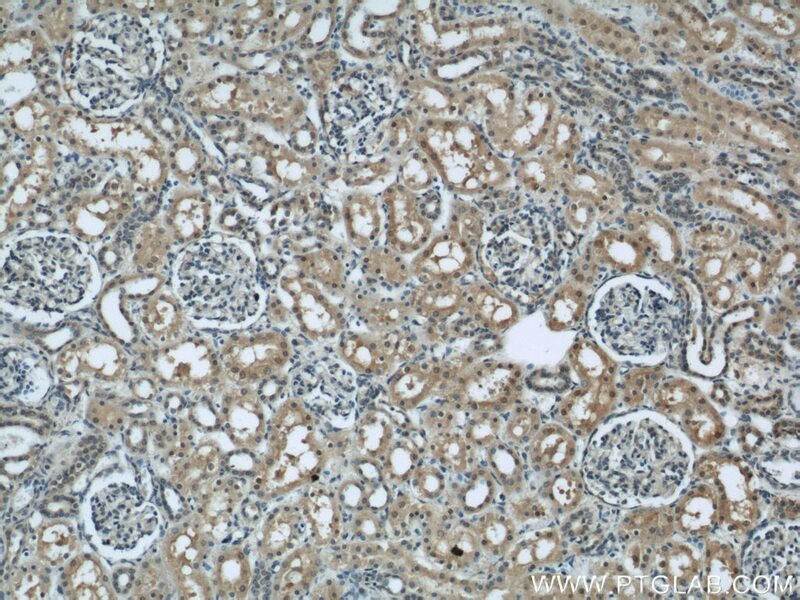 Inhibition of 6-phosphofructo-2-kinase (PFKFB3) suppresses glucose metabolism and the growth of HER2+ breast cancer. 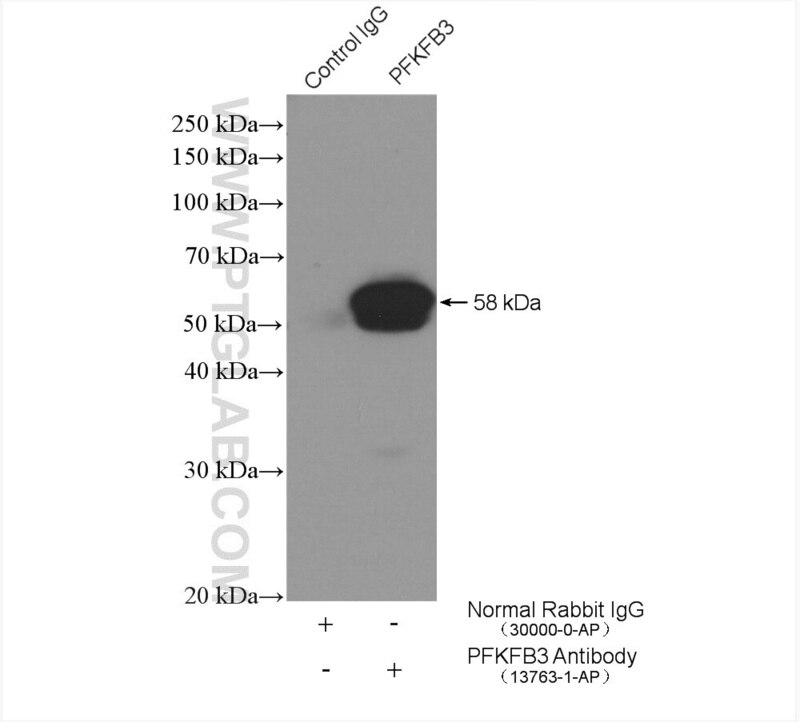 p53 coordinates DNA repair with nucleotide synthesis by suppressing PFKFB3 expression and promoting the pentose phosphate pathway. 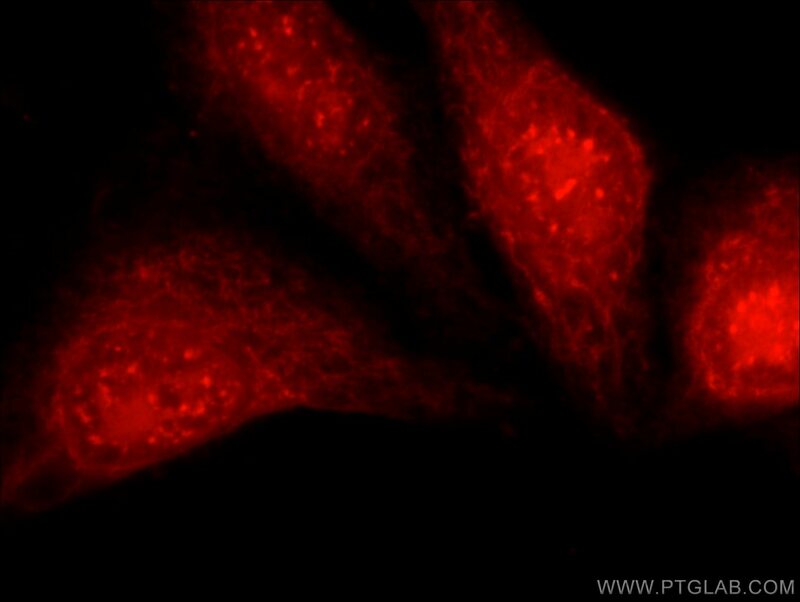 The Glycolytic Enzyme PFKFB3 Controls TNF-α-Induced Endothelial Proinflammatory Responses. PFKFB3 in Smooth Muscle Promotes Vascular Remodeling in Pulmonary Arterial Hypertension.